California officials announced today that more than a quarter of the state’s 278 parks will close to take a bite out of Sacramento’s $15.2 billion deficit. Parks spokesperson Roy Stearns said it’s unclear how Governor Jerry Brown’s budget revision — scheduled for Monday — will affect the plan, but if slashings proceed as predicted, the closures begin this fall and end by July 2012. No parks within Santa Barbara County are included on the final hit list — made when legislators voted in March to cut the department’s budget by $11 million this year and $22 million next year — but a number of nearby destinations, popular with area residents, are lined under the axe. 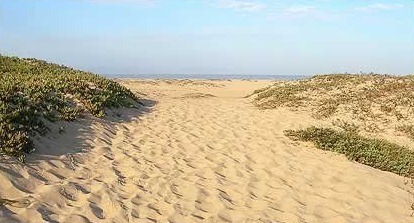 McGrath State Beach in Oxnard, Morro Strand in Morro Bay, and Limekiln and Garrapata parks in Monterey County are all expected to close. According to Stearns, many factors went into choosing which forests and beaches to shut down. Generated revenue, number of visitors, educational relevance, and contracts with private companies that run stores and restaurants were considered. During the November 2010 election, environmental groups tried in vain to help the ailing state park system by placing a proposition on the ballot that, if passed, would have used personal $18 vehicle registration fees to pay for statewide staffing and upkeep. In-state taxpayers would then be offered free day parking at any site for the year. The bid failed, though, earning only 40.7 percent of the vote.